Thurrock Civic Offices, Grays, Essex, UK. 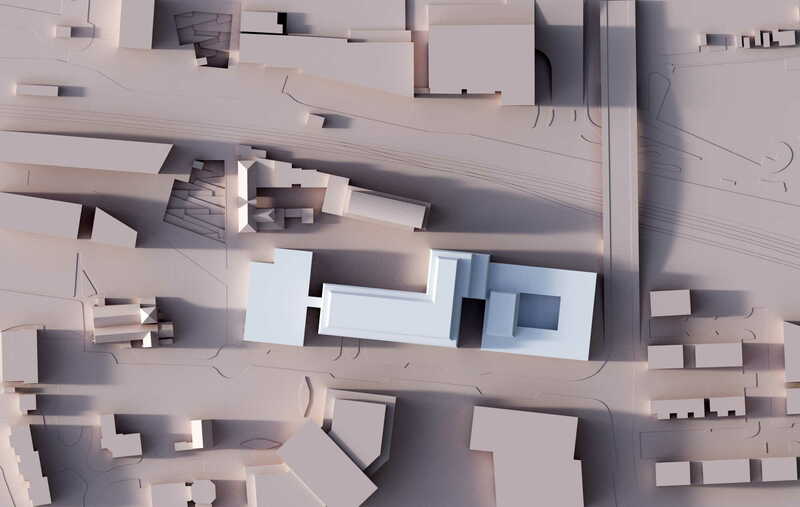 The project aims to refurbish and extend the Local Authority’s headquarters by creating a new multifunctional building to the west of the existing complex overlooking the nearby Church of St Peter and St Paul. 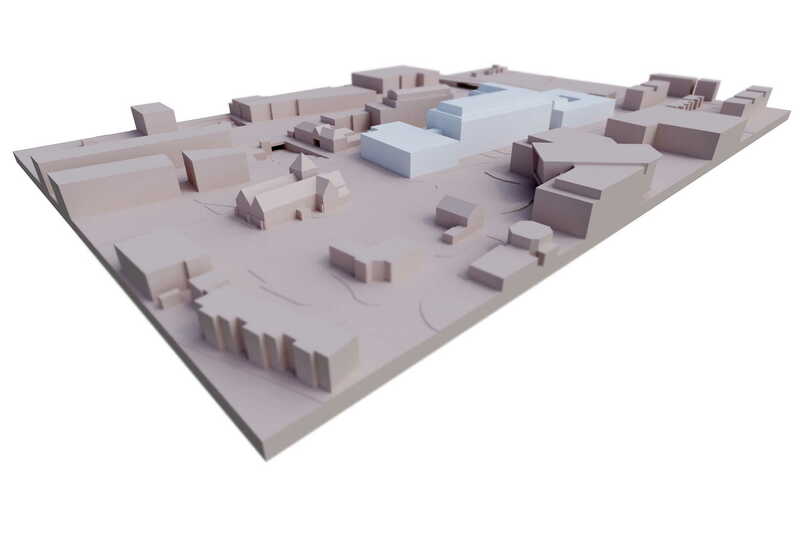 The scope of the project includes; a proposed new building on council owned land fronting the high street which incorporates a new reception council chamber, cafe, registry, offices and committee rooms in modern flexible accommodation. 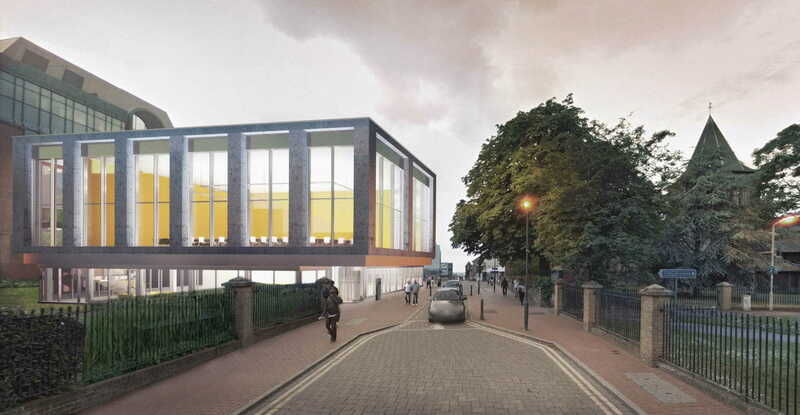 Functions of the council’s existing CO1 building will be decanted into the CO2 building which will be refurbished and permanently separated from CO1 prior to its redevelopment as part of a separate scheme. 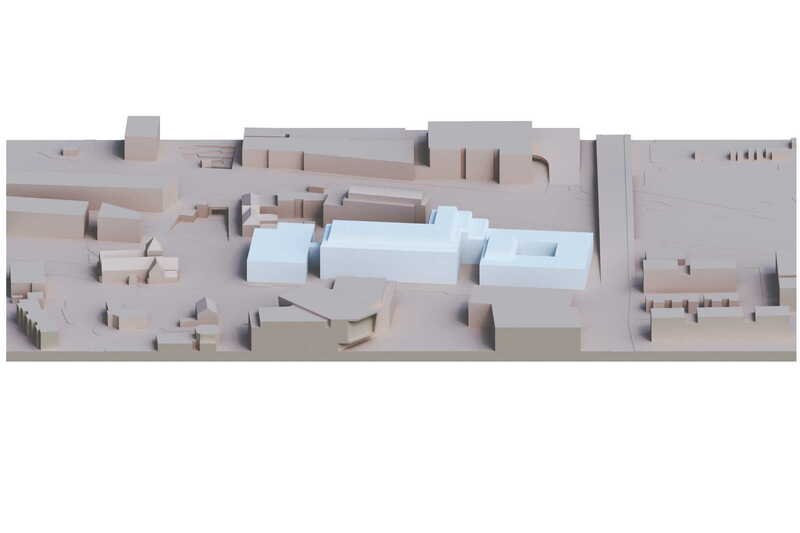 Once complete the new building will provide a new main entrance to the civic complex. 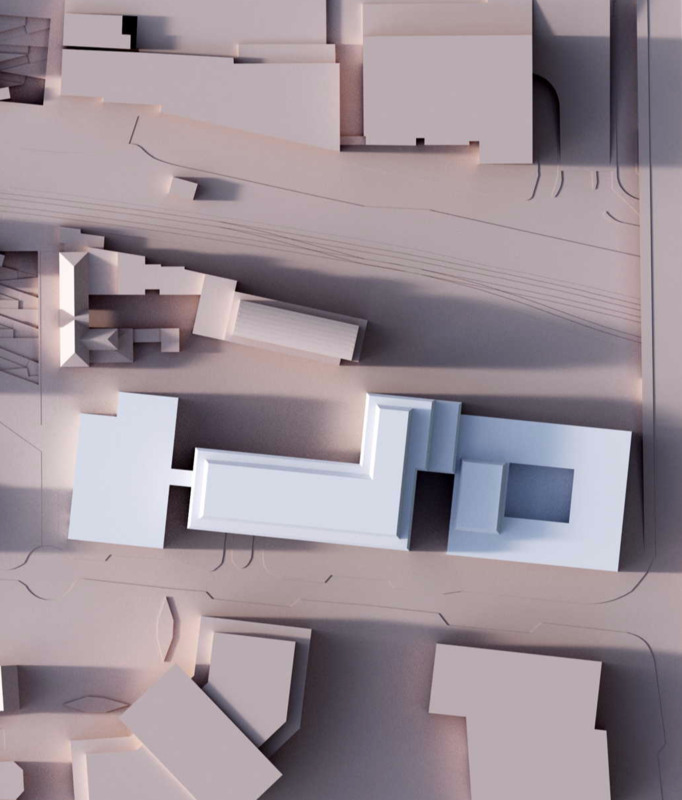 A glazed connection back to the existing building allows staff accommodation to connect directly with the new building. 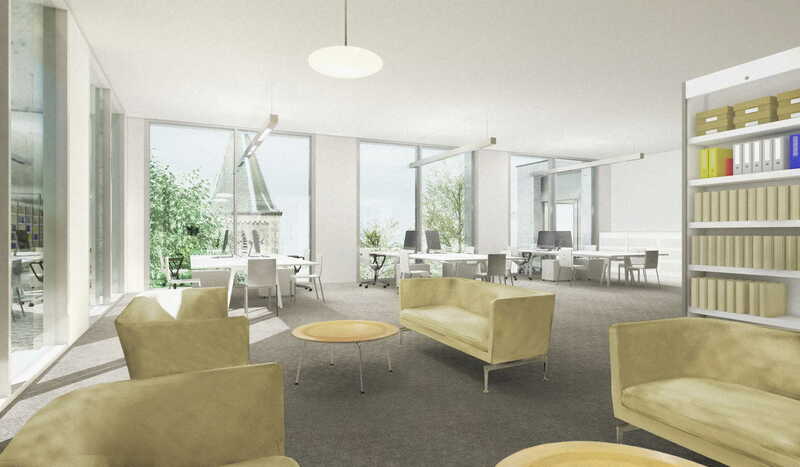 A new entrance lobby reception acts as a highly visible welcome space to members of the public visiting the council and to visitors from outside the district. 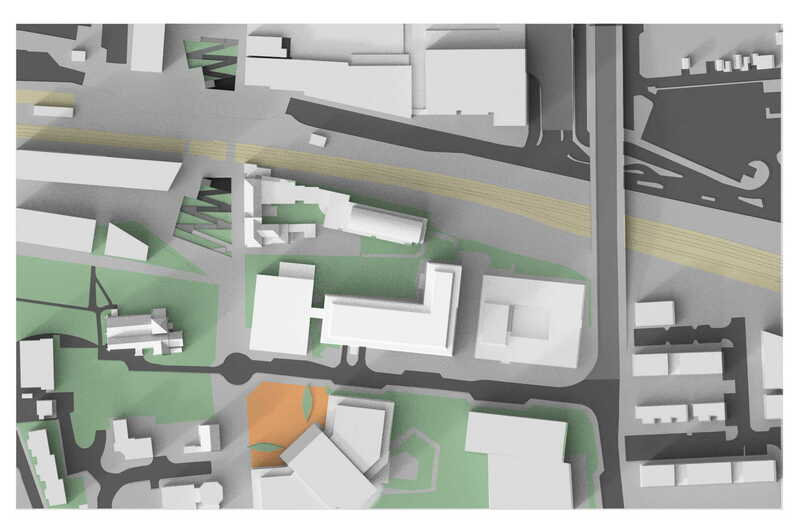 A new public realm is created by placing a proposed new building of public use opposite the church, the station and South Essex College. 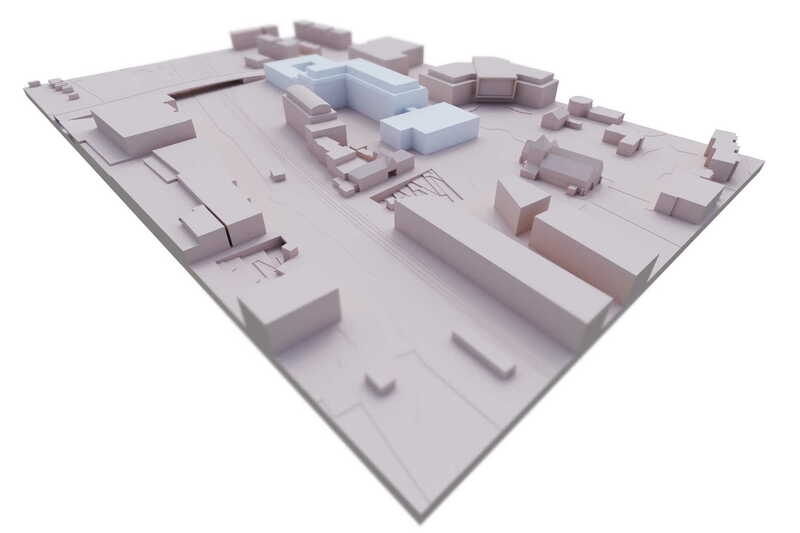 In addition a proposed new underpass connects the retail centre of Grays, north of the railway, to the new Civic Centre building.